Lutron LCP128 designed for medium to large scale commercial projects - lighting and shading control with comprehensive time functionality. Time Control - set up automatic light settings according to time of day, day of year etc.. 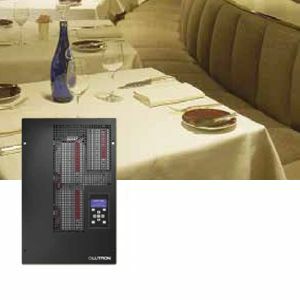 The Lutron LCP128 is ideal for medium to large scale commercial lighting control projects. For smaller projects consider the Lutron Grafik Eye GRX-3500 series. If you are looking for a comprehensive commercial lighting system, feature rich, with elegance and style were needed, the Lutron LCP128 will provide the solution.